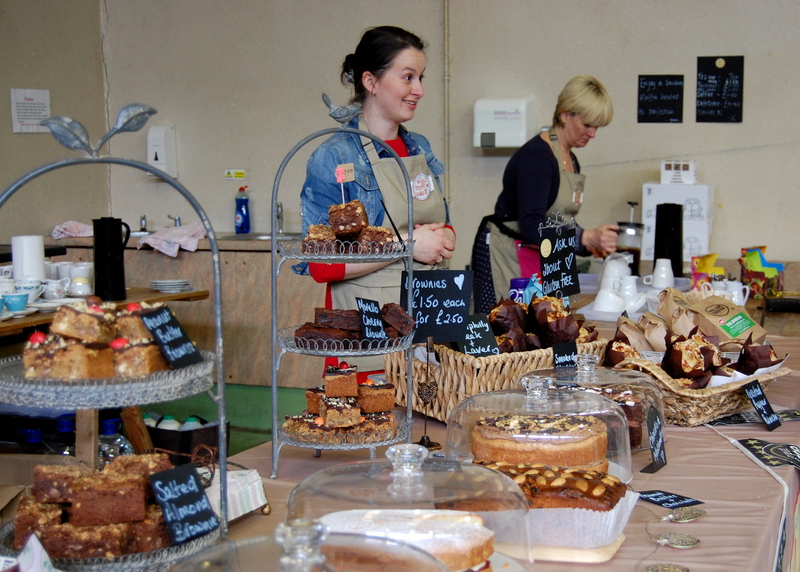 The Brecon Farmers Market takes place in Brecon Market Hall on the second Saturday of the month and falls on 11 April. From 9.30am until 2.00pm, enjoy amazing locally produced food, a bite to eat in the cafe, and live music by local musician John Stuart Hogg. Taken over by Teri Ann Winslow of Love at First Bake, the Farmers Market cafe will be serving her delicious gluten free cakes. 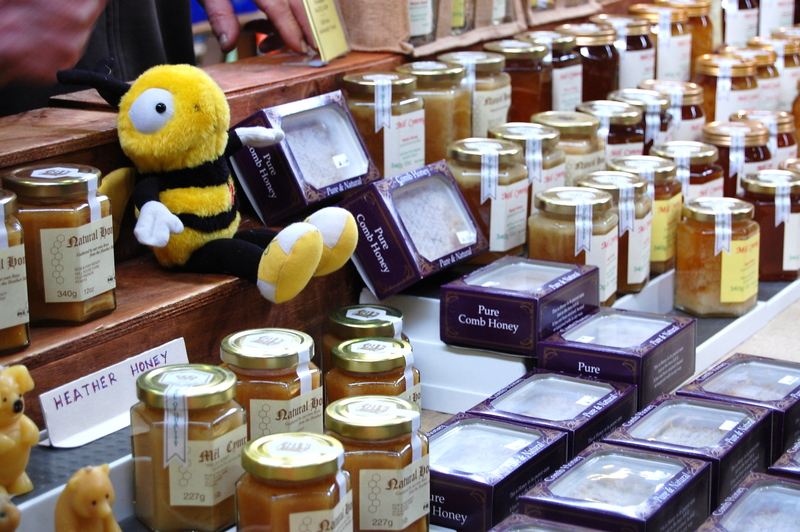 Of course the regulars will make an appearance, such as honey, beeswax polish and hand rolled beeswax candles from Bob and Pam Mendy’s bees. The couple are currently looking for a name for their cuddly bee mascot. So be sure to think of some suggestions before you visit. There is still room for more producers. If you are interested in joining, send an email to info@breconfarmersmarket.co.uk with the details of what you would like to sell. This entry was posted in Activities, Local Produce, Outdoors, Shopping, Things to do and tagged brecon, brecon beacons, brecon beacons events, Brecon Beacons National Park, events, family, farmers market, food, local produce, music, outdoors, restaurants, Shopping. Bookmark the permalink.